Member of High School of Glasgow OTC. 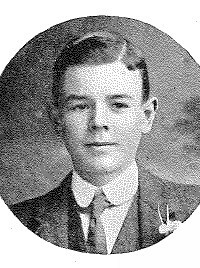 The death of Stanley Irons was noticed in several newspapers of the period. Private Stanley Irons, of the 5th Scottish Rifles (better known as the “Greys”), who lost his life in the trenches last week, was a nephew of James Irons, who used to play back for Queen’s Park, and prior to that played Rugby for the old southern club. 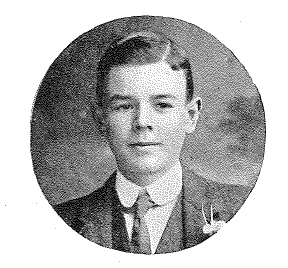 Stanley Irons was a Glasgow High School boy. At the beginning of January 1915 two letters from the front were published which threw a little more light onto the last moments of Irons. Our company struck it lucky in getting quiet spells at the trenches. We go up in relays. One of my most exciting experiences was in a listening post between our trenches and the Germans. It was returning from here that young Stanley Irons was killed by shrapnel during a night attack. There is no need for me to recount any of the work done here by our battalion, as you have already got it. Although the name of the writer is not mentioned, I know well who he is. He was too modest to mention a brave little deed which has made him one of the most popular young officers in the battalion. On the night of December 10 his company were occupying the trenches; it was a splendid night for ‘dirty work’ as there was a heavy mist on. Shortly after dark the enemy attacked the position but were successfully driven back. It was during the attack that Private Stanley Irons fell. He had been on duty in front of the trench and was retiring when he dropped. Amid a terrible fire young Lieutenant Arnold Wilson jumped over the parapet and brought the lad back to the trench, but unfortunately the poor chap was dead. So that is a sample of the stuff from the old village. Killed by German shellfire on the evening of 9th December 1914. German artillery began shelling the British line at 7.30 pm and attacked 20 mins later which was repulsed by heavy rifle and machine gun fire. Irons, along with two of his comrades were killed by the shelling, and were “buried in a neat garden near the river in the Houplines area”. 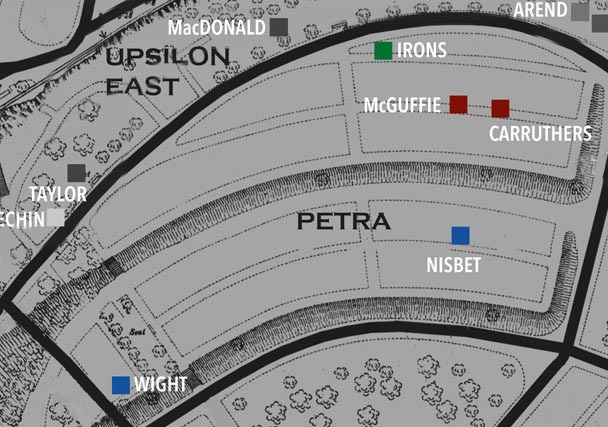 In the official history of the 5th Cameronians (above) Irons is described as being buried, with 2 companions, “in a neat garden near the river in the Houplines area”. Eight years after his burial it proved possible to locate these three graves, identify the bodies and transfer them to Rue-Petillon Military Cemetery, Fleurbaix. 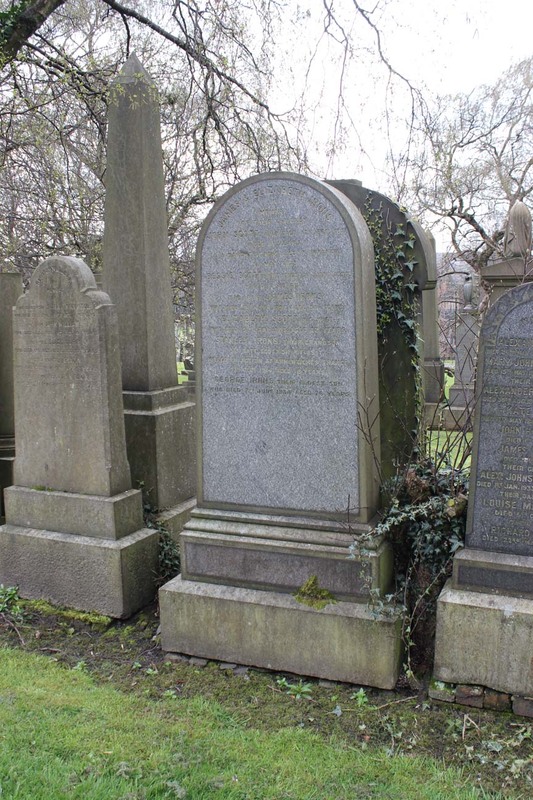 His gravestone bears the phrase “Pro Patria” chosen by and paid for by his mother Fanny at a cost of 2 shillings and 7 pence. Apprentice with Copland & Lye c1912-14. Stanley and his family seem to be visiting Dunoon on this date, not living there permanently.